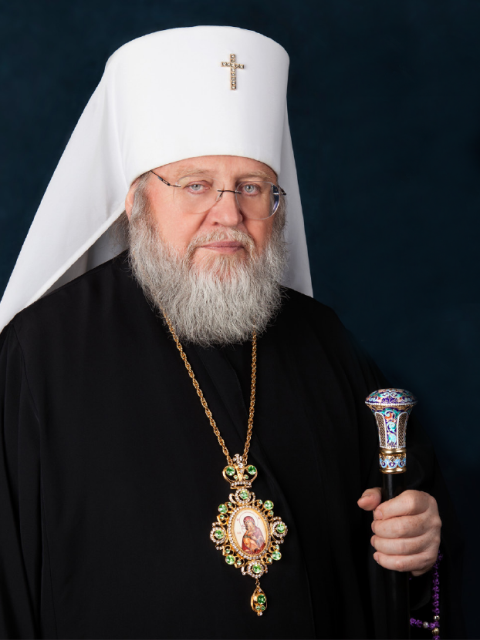 Once again, the grace of God, who is All-Good, has enabled us this year also to reach Holy and Great Lent and prayerfully experience the characteristic stations of prayer and fasting. This is just as our reverent Forefathers – who had “placed all things in good order” provided and established for us centuries ago. And it is indeed true that, throughout the entire ecclesiastical year, there is no other period that is as rich in purifying and alternating services, as this blessed period. What can one mention first, and what last, from this vast spiritual journey and feast? There are the: Sundays of the Triodion, the Saturdays dedicated to the Souls, the Salutations to theTheotokos, the divine Annunciation of the Virgin Mary, and the five Sundays of Lent, Palm Sunday and the astounding days of Holy Week with the awesome Passion and resplendent Resurrection of the Lord. And of course, the illumination that each person will receive shall no doubt depend upon the willingness of each to respond to that invitation. However, precisely because the invitation is directed to all people, it must be stated unreservedly that it is not the subjective factor that introduces us to the redemptive process of the abolition of death. Rather, it is the all-accomplishing power of the God-Man Christ who by death trampled upon death. To the risen Lord Jesus, who for all people died and rose, be all glory, honour and worship to the ages Amen! A wondrous energy lies hidden in these words and penetrates the whole soul: Christ is Risen! How joyous are these words for the soul of a Christian! Can more festive words than these be found in the entire human language? These joyous words were first uttered by the Angel to the Myrrh-bearers who had come to the life-bearing Tomb. With our mind’s eye we see Christ Resurrected and hear His sweetest words to the Myrrh-bearers: Rejoice! (Matt. 23:9). The Resurrected Lover of Mankind directs the same joyful greeting to us: Rejoice! With Paschal jubilation I greet all of you with this radiant world-saving triumph of Christ’s Resurrection! Rejoice, and again I say, rejoice! May each one of you, partaking of the joy today of Christ’s Church, overcome the sorrows and crosses you bear in life; overcome the despondency due to personal sinfulness, and the temptations and scandals which surround us. With a breath of festive compunction let us and those around us partake of the many faceted mercies and blessings of this all-good and radiant celebration. 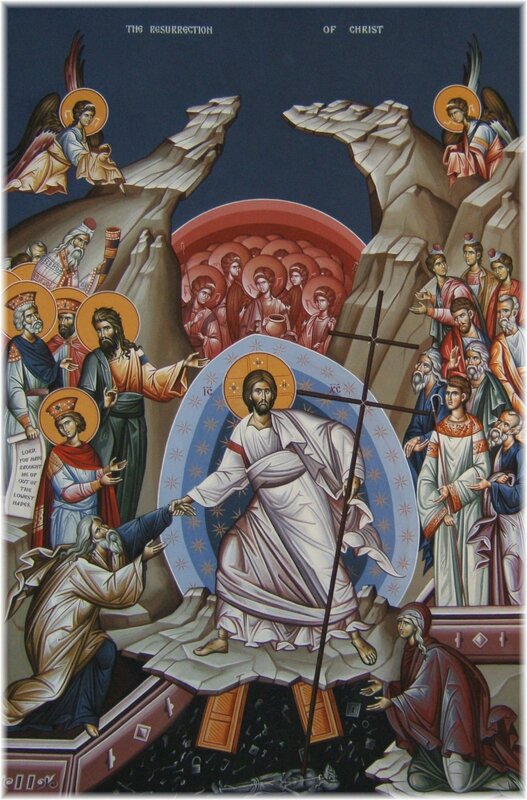 For the Feast of Pascha is not just another ordinary festival or proclamation of resurrection; it is not a mere promise of life eternal for people; it is the triumph and victory over all grief and anguish, over all sorrow and sadness of this earthly life. May this Paschal joy, this triumph of life reign throughout our Russian Church Abroad, in each parish, in each monastery, in each family, so that “the unity of the Spirit in the bond of peace” (Eph. 4:3), spoken of by the Apostle, may be visible within our church life. And may whatever transpires among us be peaceful, amicable, cordial and according to the precepts of the Church! As St. John of Kronstadt expresses in his writings: “May our joy of the Resurrection be rational, deep, holy and dynamic. May it move us to greater love of the Resurrected One, to a life of holiness and mutual love.” Amen. And truly, let us look round about and see, beloved, and let us rejoice boundlessly, for this most holy dawn has awaken. This dawn gives birth with it to the sun of a New Day and true freedom in Him who conquered death! Christ is risen and having assembled us, His children from the West and the North, from the South and the East, brought us joy so that we may more perfectly commune with Him in the unfading day of His Kingdom! This is the First Day of a New Creation beneath our ancient sky, one in which truth has again shone forth to gather that which was scattered and return it in the glory of His Resurrection from the dead! Behold, life once again reigns and death no longer exists! Christ is risen and has taken our sorrow from us! He confirmed the indissoluble community of His truth and His love in Him who is Truth and Love! Death, where is your victory? Death, where is your sting? (I Cor. 15:55). According to the words of the Holy Apostle, the sting of death is sin (I Cor. 15:56), and sin is found outside His community! Therefore we, as the Holy Mary Magdalene, the first witness of the living Christ, are invited to overcome ourselves and our selfishness and to hasten! We are invited to hasten and to share that blessed and all joyous news with others who suffer, who sorrow, and who are deprived of their God-given freedom! With the heralding of the Edict of Milan in 313AD, the enlightened Roman Emperor, Saint Constantine the Great, by birth from Nish (Naissus) granted freedom to confess the Christian faith, and also freedom to all other religions. Sadly, even though 1,700 years have passed since then, we continue to be witnesses to the religious persecution of Christians and Christian minorities in many lands. 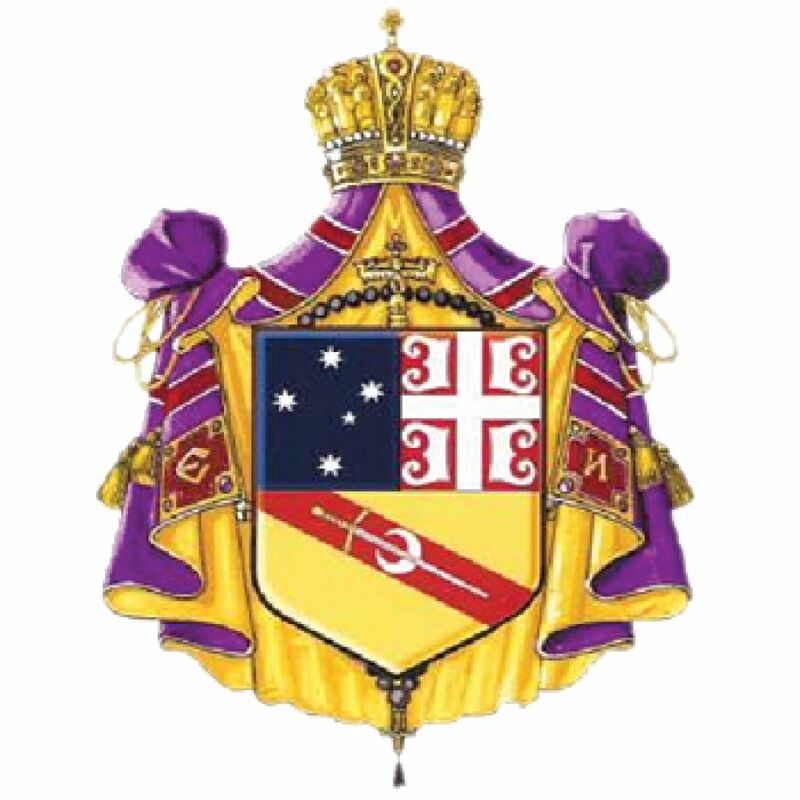 So it is with our Serbian lands, and especially in Kosovo and Metohija. It is our duty, we who live in free countries, to confess the Resurrected Christ, to witness truth before the entire world. However, we must first ask ourselves are we, beloved, in unity with those who suffer? 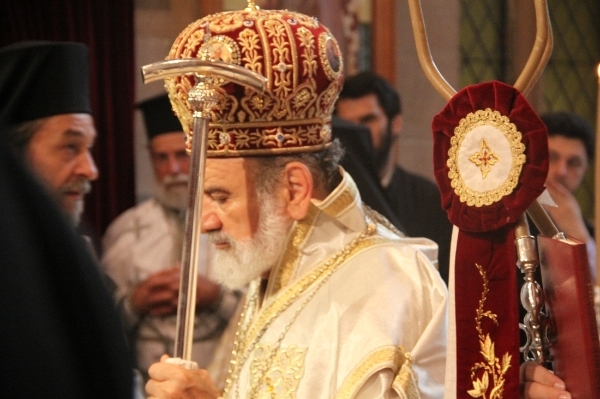 Are we truly in unity with our Mother Church and with the entire Orthodox Church? 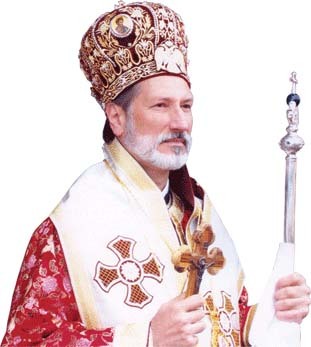 For this reason, the great contemporary confessor of our Serbian generation, Saint Barnabas of Hvostna, clearly states – There is no sorrow to which sin is not the cause. Therefore, freeing yourself from sin means to be wedded unto joy! And being wedded unto joy is possible only in the unity of Him who defeated the last enemy of humankind – death, which had held us in the yoke of slavery. It is for freedom that Christ has set us free, states the Apostle to the Gentiles (Gal. 5:1). Truly, every kind of persuasion against submitting to truth does not come from Him who calls us into His communion. Those who are of a different plan and rebel will have to pay the penalty, whoever they may be (cf. Gal. 5: 8, 10). In the peace of Christ and in His unity our Holy Church throughout the world invites all peoples to gather. The Church is a sign that the Gospel speaks the truth! The Church is the Body of Christ, which inspired of the Holy Spirit makes Christ the community of love, compassion, comfort – the pure face of the Resurrected Christ. According to the teaching of Saint Maximus the Confessor, in all that we do God seeks an objective . . . let us have as an objective not the pleasing of people, rather pleasing God, so that beholding Him always, doing all for Him, that we do not undertake an effort and loose the reward (Book III of 100 Texts, On Love, No. 48).